Witamy! Laura has been away for a while so if I want to eat at home, it’s on me to cook. Soup and sandwiches get tiresome very fast! Although I enjoy cooking, when I’m flying solo, simple and easy is the way to go. Prep time needs to be quick, otherwise I’m turning the page. Know what I mean?? Have you seen those TV commercials that declared pork as “the other white meat” It’s true because pork production has improved a lot and we no longer have to cook it to “flavor-death” for safety’s sake. Whenever I’m grilling chops over a direct flame, a tiny hue of pink in the middle is my goal. We love pork because it is so versatile and hard to screw up -- as long as you don’t dry it out. And I’m a huge fan of stewed sauerkraut, as in our iconic Hunter’s Stew recipe (Bigos, Page 49). It has a natural tang which pairs beautifully with almost any meat, and it just sings when you add layers of additional flavorings such as mushrooms, tomato or apple. Whether sweet or savory, sauerkraut is one of my favorite foods. So yesterday I stopped by our grocery store’s meat case and picked up a couple of bone-in loin chops (tip: bone-in has more flavor) about one inch thick and a small, one-pound bag of sauerkraut. • Mashed potatoes are a favorite with this dish, but any green vegetable is healthier. In Poland they’d be serving this with shots of ice-cold vodka, but I don’t care to drink alone, so a glass of hearty red wine did the trick. So I spent less than six bucks on the pork and sauerkraut, less than 20 minutes prepping, and I got two meals out of it. It was full of big bold flavors, the pork was moist, and the whole dish was pretty healthy, so that goes down as a big win. 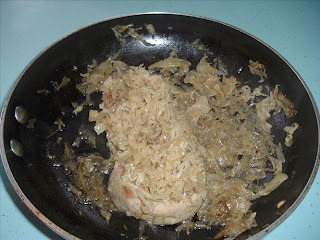 Polish Pork and Sauerkraut – yum! Smacznego! For a sweeter style you could add half an apple which has been cut into wedges. of course, or some crushed tomato...now you're getting closer to the flavors ofg Bigos. 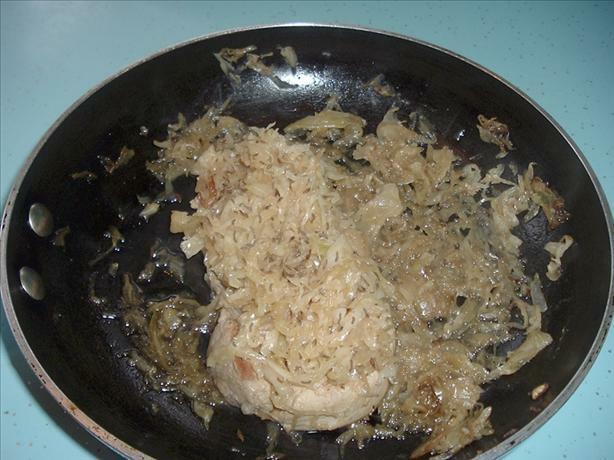 Polish Pork Chops and Sauerkraut is the best entree you can eat and enjoy like for electric griddles and cooking. Well recipe is easy, can I use chicken breast or lamb chops instead of this? absolutely! But chefs all over the world have always paired pork with sauerkraut...it's a marriage in heaven! 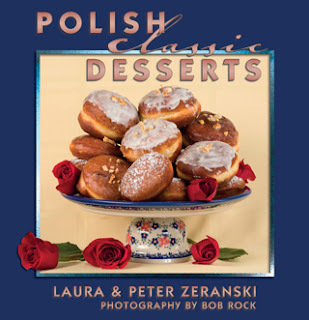 This will be part of our Christmas dinner, with pierogi, of course. Thanks kids for reminding me how to make it!